Dependence on foreign resources seems like a modern-day problem. But in the 1920s, Thomas Edison and Henry Ford were obsessed with it. Among their worries was rubber, produced only in foreign countries. In 1927, they decided to build a laboratory to determine whether rubber plants could grow in American soil. Searching for a semitropical setting, they chose Fort Myers, where both men had winter homes. Edison tried to make rubber from plants such as the African sausage tree, eucalyptus and tropical snowball. Seventeen thousand samples later, Edison settled on goldenrod, a plant naturally containing rubber, which his neighbor Henry needed for his cars. In 1936, five years after Edison died, the work moved to a government facility. The laboratory, however, remained, with microscopes and beakers lined up as if waiting for another experiment. In 1947, Edison’s widow bequeathed the property to the city, which opened it to the public and later transferred it to a nonprofit. 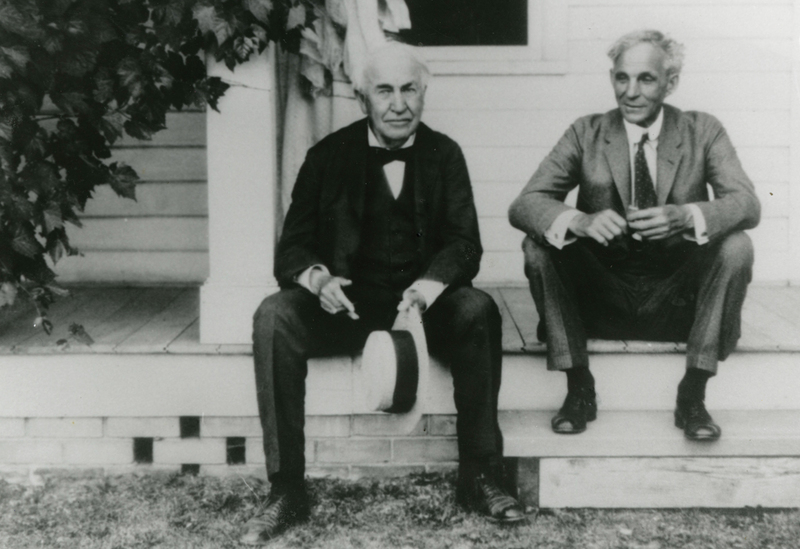 For nearly a century, the fauna planted during Edison and Ford’s time flourished. Last year, Hurricane Irma blasted the 20-acre property. The estates closed for 23 days for $187,000 in upgrades, including a new Smithsonian exhibit. During a 2010 restoration of the lab, the museum, out of prudence, disposed of hazardous chemicals left over from Edison’s experiments. But the laboratory remains in the age of innovation, with wooden rafters overhead and shelves and workbenches covered with bottles, Bunsen burners and who-knows-whats. Looking through windows clouded by time, it isn’t hard to envision Edison and Ford dreaming up ways to change the world.